Are you looking for a way to incorporate bread into your diet in healthier ways? We recently received products to review for Nature's Own Bread, and we LOVED them-- my favorite part was it got my kids to eat breakfast (besides sugary cereal!). 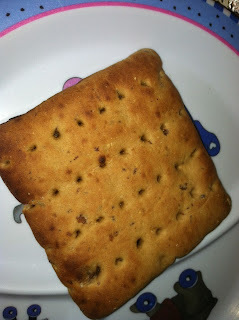 Check this out, it is a Cinnamon Raisin Oatmeal Toaster! My kids devoured them. They are almost like a bagel and a piece of toast mixed together and they are delicious! They do not have any trans fat, is free of high fructose corn syrup, AND has 4 grams of fiber! A great way to start your day! I loved the whole grain bread! It was delcious and moist! 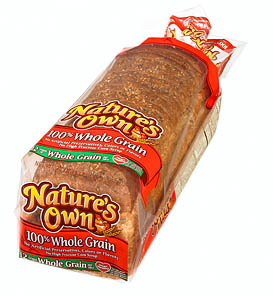 With 100% whole grain and free of artificial colors and preservatives, I feel better about having bread in my diet!